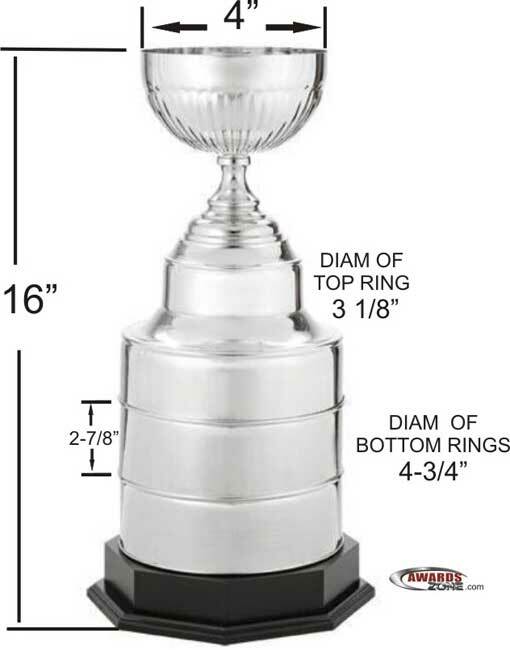 Stanley Cup Replica Trophy that can custom engraved and purchased online, The Stanley Cup Replica can have extra rings added. 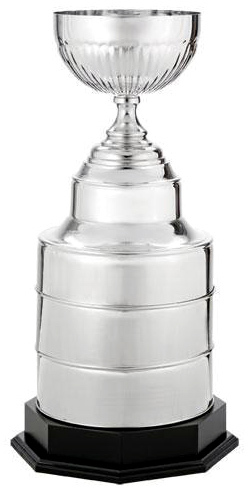 Stanley Cup Style Trophy Cup(Small) 16 inches in Height. Base is 6-3/8" x 6-3/8". Made from plated steel. Price includes Free Imprinted Plate. We ordered this on a tight deadline and requested a lot of customization. 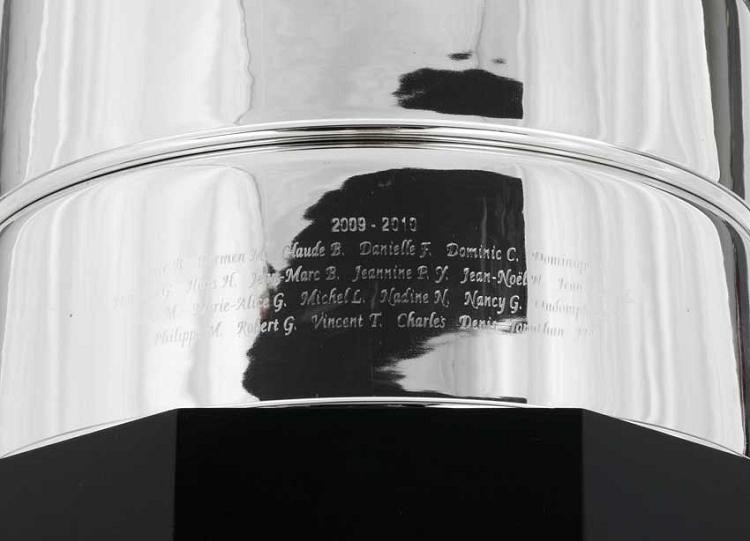 Teresa and the team at Awards Zone were extremely helpful and responsive; the trophy was perfect and arrived right when we needed it.